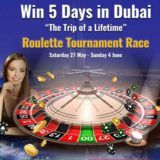 Extreme Live Gaming is running a network Roulette tournament between the 27th May to 4th June 2017. A 5-day luxury trip with flights and accommodation for two to Dubai (or £3000 cash equivalent). A 32GB iPhone 7 in Black with a 4.7-inch display (or £550 cash equivalent). To qualify you just need to play on any of the Extreme Live Roulette tables. You’ll get 1 point for every £20 wagered. At the end of the promotion period, the Top three players will be invited to a live draw. 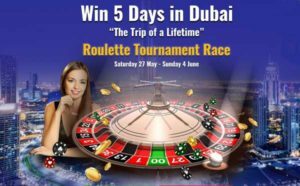 It’s being held on the 6th June at 21:00 GMT at the Golden Ball Roulette Table. The players will have three boxes to choose from, each containing one of the prizes. 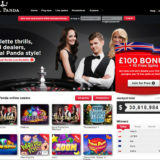 The highest scoring playing will choose first and so on until all prizes have been allocated. 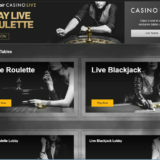 The Extreme Live Gaming Roulette Tournament is a network run promotion, but casinos will still need to opt into the promotion to take part. Not all Extreme Live Casinos will be running it. 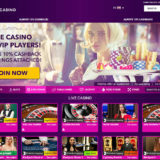 Slots Magic is definitely running the promotion.